The hosts had taken a second minute lead with Chesterfield winning the tie at the break. A more solid second half performance saw the Blades rip the Spirites in two and although they themselves had opportunities to score, couldn't prevent efforts from Kieron Freeman, John Fleck, Billy Sharp and substitute Leon Clarke all finding the net. Blades boss Chris Wilder made a number of changes, recalling the first team squad whom had been rested in the last two cup victories over Leyton Orient and Grimsby Town. As well as the presence of live Sky TV the game had been built up with the return of Ched Evans to face his former club for the first time. There was however further ex-Blade connection with manager Danny Wilson and his assistant returning. It was Chesterfield who kicked off the match and made the better start despite being bottom of the league. Evans collected a pass and having got the better of Basham found NOLAN on the edge of the box; he ran through and smashed home beyond Moore in front of the travelling United supporters. It took United a while to get into the game as the hosts bullied the Blades during the first half period and it took until eighth minute until the visitors created their first chance on goal. Freeman and Sharp were involved in the build up play but the ball eventually fell to Lafferty but his right footed effort went straight to the hands of Fulton. Done then saw his header tipped round the post and United won three consecutive corners but shortly afterwards a whistle happy referee broke up play. Chesterfield defended their lead whilst United, with Coutts, Fleck and Duffy looked to attack from midfield. Despite holding possession the visitors created too few opportunities as they struggled to break the Spirites down. Of the few chances, Fulton easily held Duffy's shot but had to react smoothly to prevent Sharp's deflected shot from dropping in underside of the crossbar. The final chance of the half fell to the hosts. An O'Shea corner found the head of Evatt with United clearing after the ball crashed against the crossbar. Referee Christopher Sarginson cautioned Chesterfield for time wasting during the early exchanges of the second 45 minutes and both sides saw opportunities in front of goal with Evans and Sharp both testing the opposing keepers. The hosts stuck 11 men behind the ball, making it difficult for the Blades to forge chances but thankfully the Blades wouldn't be far away from levelling the scores and force Wilson into rethinking his tactics. Patient play resulted in Fleck chipping a ball into the box and FREEMAN reacted quickest at the far post to head home. Evans was handed a glimmer of a chance to restore the hosts lead before he hobbled off injured. A break away saw the former Blade charge down the right flank and after cutting in shot but Moore parried away with no other blue shirt in sight. At the other end, Lafferty headed wide a Basham cross and Done failed to drill home Freeman's delivery. Wilder threw on Clarke to face his former club and he proved to be a menace as United would soon net two quick-fire goals in the space of a minute to put this fixture to bed. Within five minutes of Clarke's arrival for Jake Wright the Blades were rewarded. On 72 minutes Duffy and FLECK combined and the latter, with time and space, drilled the ball from distance beyond the keeper from 20 yards. The majority of the 2,761 travelling support were still bouncing up and down in celebration when Clarke, in the middle fed Duffy through in the right and his pivotal cross to the far post saw SHARP peel away from his marker to head home the simplest of goals. Chesterfield frantically made attempts to get back into the match, Anderson headed straight at Moore and Wilder made a tactical change, switching to three central defenders. With nine minutes remaining there would be another goal from united and one would certainly kill off the game. Gaps in the home defence, and a few passes later saw a neat pass fall straight to CLARKE who swivelled and hit first time, curling home beyond Fulton into the bottom left corner. It was all that the home faithful could have taken. Of the supporters which had stayed after the third goal, the majority made way for the exit, leaving the most diehard of fan to sit out till the end. United could have used the final moments to time waste but instead they surged forward, hunting for more goals. Sadly they never came but the Spities could have reduced the deficit had O'Shea, with only the keeper to beat not screwed his sitter wide at close range. Chesterfield: Fulton, Liddle, Evatt, Evans (Dennis 66), O'Neill, Dimaio, Nolan (Humphreys 69), Donohoe, Anderson, O'Shea, Ariyibi. Unused: Mitchell, Allinson, Simons, Maguire, German. 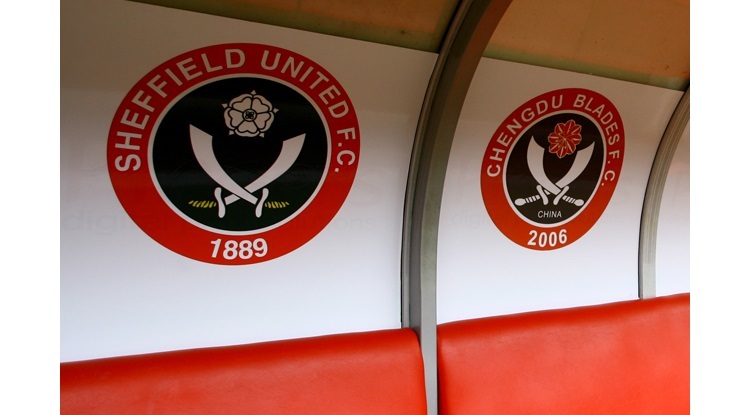 Sheffield United: Moore, Fleck, Basham, Sharp (Lavery 90), Done (O'Connell 78), Wright (Clarke 68), Coutts, Freeman, Ebanks-Landell, Duffy, Lafferty. Unused: Long, Scougall, Brown, Whiteman.